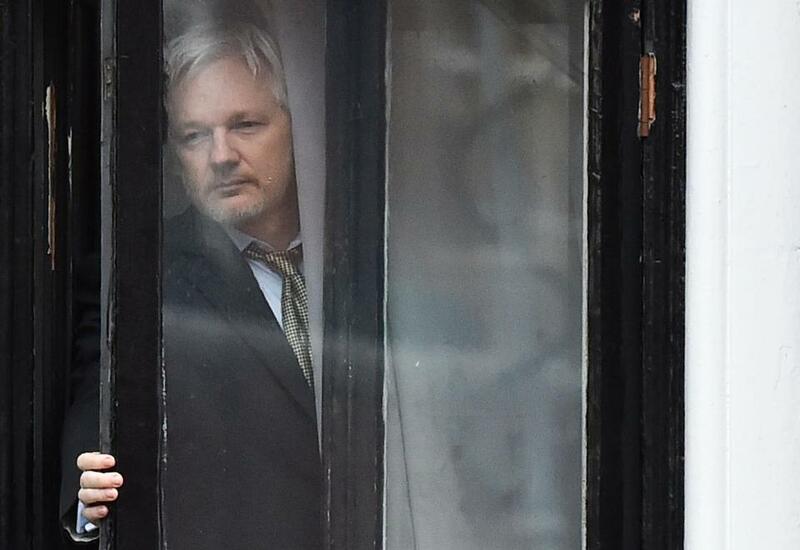 WikiLeaks founder Julian Assange, at the Ecuadorian embassy in London, February 2016. Love him or hate him, Julian Assange shouldn’t be prosecuted by the United States. The WikiLeaks founder, a divisive figure who’s either a transparency hero or a Russian pawn who helped elect Donald Trump, depending on whom you ask, has been living inside the Ecuadorean embassy in London for the past six years. Assange has been afraid to leave the embassy, fearing authorities would arrest him and extradite him to the United States to face charges related to releasing a vast amount of US government documents in 2010. It turns out those fears were well founded. Last week, it emerged that there is a secret indictment of Assange, which was accidentally revealed in an unrelated legal filing. We don’t know what the charges are, when they were filed, or what evidence the government has to support them. It’s always possible that there’s more to the Assange case than meets the eye — and if there is credible evidence that he hacked e-mail accounts, conspired with others to do so, or committed other crimes, he should be charged. But based on what is known publicly, there are good reasons to be skeptical of his prosecution, and to fear it could set a damaging precedent that would weaken press freedom. Assange has published information that exposed government wrongdoing, including the abuse of detainees in Iraq. He also published information no responsible publication would touch, including social security numbers and other private material that’s nobody’s business. His cavalier publication of sensitive information may have endangered lives, although there is no evidence that anyone has been killed as a result of WikiLeaks disclosures. The leaks came from sources like former Army private Chelsea Manning, who clearly violated the law by giving classified files to WikiLeaks and was punished for it. But filing criminal charges against the recipient of those leaks is dangerous territory. Harvey Silverglate, the Cambridge criminal defense and First Amendment lawyer, said the feds can probably come up with 100 different arguable crimes Assange committed — conspiracy, disclosure of government secrets, theft of government property, espionage, and the list goes on. If Assange were charged under the Espionage Act, a World War I-era law intended to punish spies, it would be the first time it’s been used against a media organization, an ominous milestone. Assange’s is, no doubt, a complicated case; and a man totally beholden to one foreign government (Ecuador) and suspected of coordinating with another (Russia), doesn’t fit the traditional definition of an independent journalist. Some US officials argue that WikiLeaks should not be granted the same latitude as a conventional media organization. But the fact that Assange is such an obnoxious, compromised character shouldn’t lead anyone to excuse what the government seems to be doing by targeting him. A free press needs to be free even for people like Assange. Prosecuting him solely because of what he published would have a chilling effect on US journalism. Why is President Trump so afraid of a free press?